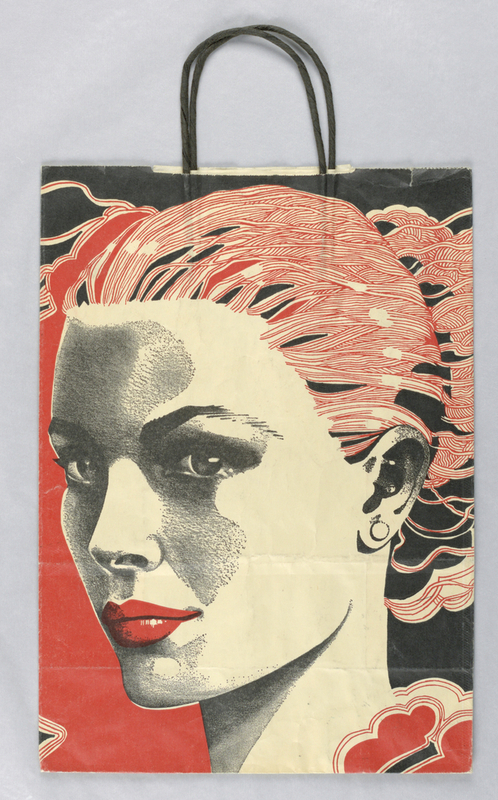 This is a Shopping bag. It was made for (as the client) Bloomingdale's. It is dated ca. 1978 and we acquired it in 2000. Its medium is paper; black raffia handles. It is a part of the Drawings, Prints, and Graphic Design department. This object was acquired from Unknown donor: found in Collection and catalogued by Carey Gibbons. It is credited Gift of Unknown Donor.